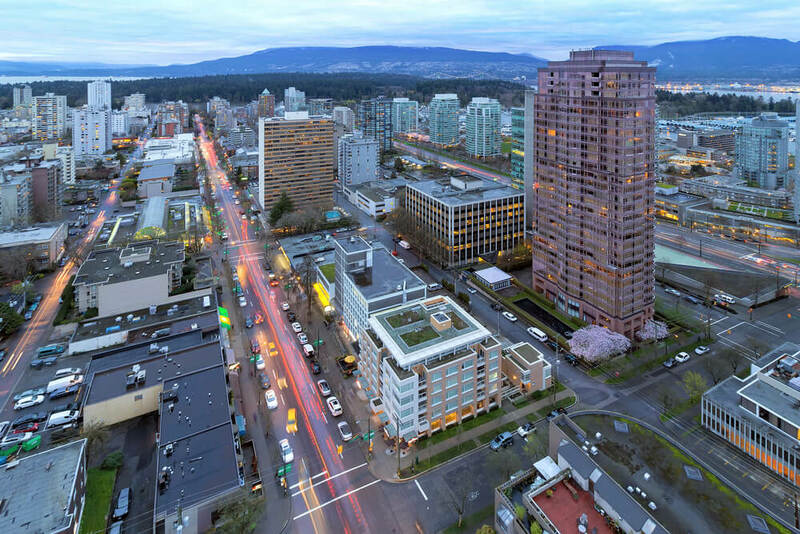 Visitors to Vancouver will find a wealth of neighbourhoods to explore with some of the best shopping, dining, entertainment and attractions to choose among. Vancouver is a dynamic city with plenty to see and do, making it one of the best holiday destinations on the West Coast of Canada. In terms of accommodation staying at a boutique hotel in Vancouver downtown would be ideal. The L Hermitage Hotel in Vancouver is a great option close to the best shopping and entertainment areas of the city. The most famous shopping spot in Vancouver is Robson Street. It is among the oldest commercial sections in the city and once named Robsonstrasse. This was because of the large number of German and European migrants that settled in the area and set up their businesses in the post World War II era. The area still retains its cosmopolitan heritage. Its location in the centre of downtown makes it a hub of activity with locals and tourists’ bustling around the area’s many businesses. Visitors to the street can begin their exploration at the popular BC Place Stadium, which is home to the Vancouver Whitecaps (they play in professional soccer league of North America) and BC Lions Canadian Football Team. If no games are on at the time of your visit it is still well worth your while to drop in at the BC Sports Hall of Fame in the stadium. There are numerous galleries celebrating the city’s professional sports teams and the 2010 Winter Olympics held in the city. Terry Fox is one of the local sporting heroes with a sculpture celebrating his achievements installed at the plaza. Travel along the west of Robson Street and on the way, visitors will cross the Vancouver Public Library (designed like the Coliseum) before they arrive at the famous Vancouver Art Gallery on Robson’s Square. Below on the street is an event space, which offers an ice skating rink during winter. In the summer it plays host to ballroom dance performances. The culinary offerings in the area are in character with the cosmopolitan heritage of the area, with an eclectic mix of eateries along Robson Street. For a casual dining experience, the east end of Robson Street is home to various cafes and eateries offering fast food options. Great to head to for quick bite and a pint, while watching a game on big screen TV if you missed getting a ticket! In the centre there is a number of trendy dining spots with a good number above street level, making them ideal to have a meal and watch the people pass by on the street. For the best Asian Fare, move towards the west in the direction of Stanley Park with a slew of high-end Asian restaurants. From the best of Korean traditional dishes to authentic Japanese culinary delights there are many options to dine in the area. Those looking for a caffeine fix will not run short of options with cafes aplenty on Robson Street.